Are you tired of washing your clothes only to find that the odors have not fully disappeared, or that the stains have not been adequately removed? If you are nodding your head, then you should check out this freebie sample! 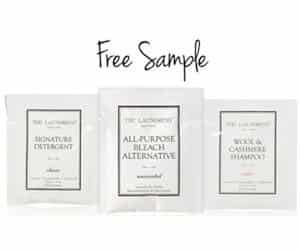 Right now, you can get a FREE laundry detergent sample from The Laundress Laundry Detergent company. You can choose from 4 sample products: Delicate Wash, All-Purpose Bleach Alternative Signature Detergent, or Sport Detergent. Please note, you must sign up to receive The Laundress newsletter in order to get your freebie. This must be your first time signing up in order to get your sample laundry detergent. Everyone Is Rushing To Snag Their Freebies from Glade. Get Yours Now Before It’s Too Late! Do you like freebie offers? Of course you do! You probably would not be here if you didn’t! Right now, people are rushing to take advantage of this Glade sample offer from LifeScript Advantage! 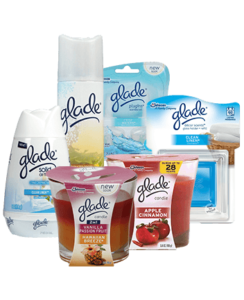 While this offer lasts, you can access awesome Glade samples in the form of FREEBIES! These Glade product freebies make your home smell fresh and clean (even if your house is not entirely clean)! In order to get your samples, you must first enter your email address and click on the pink ‘submit’ button. After that, you will need to fill out the LifeScript Advantage registration page. On the form, you will need to include your name, mailing address, date of birth, gender, email address, and several offers available to you. Then, select the ‘redeem a sample’ button to select your Glade freebies! Please note, this offer is only available to residents of the United States. You must be 18 years of age or older to sign up for this special freebie offer from LifeScript. Also, be aware that you will periodically receive emails from LifeScript as a result of signing up for this offer. However, you will have the option to unsubscribe from the emails should you feel inclined to do so. Amazon is currently running a special deal of the day on Willow & Everett salt and pepper shakers. These shakers regularly retail for $59.99, but today they are on sale for $19.00! These grinders are made of beautiful wood and glass. 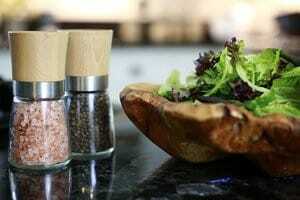 You can use them to grind peppercorns and coarse salt (not included). They look sleek, but are also high quality and practical. Take advantage of this special offer while it is still around! Check out this incredible Amazon deal on an Anker diffuser/humidifier combo. This product can be used to diffuse essential oils throughout your home. 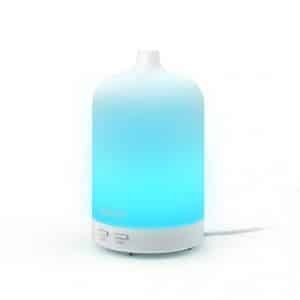 The diffuser/humidifier can be changed to 7 different colors. 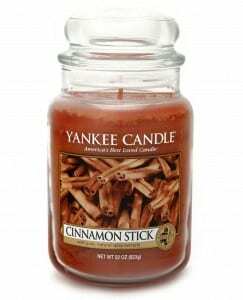 This product is currently on sale for $19.99 (it regularly sells for $29.99). Take advantage of this excellent deal while you can! 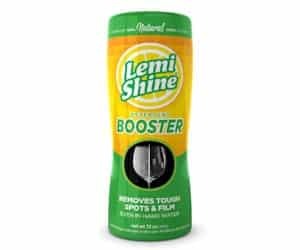 Lemi Shine FREE Sample Offer From Target! Target is currently offering a FREE sample of Lemi Shine, a dish washing detergent booster. To get your FREE sample, click on the “request sample” button and answer a few brief questions. Then, enter your mailing information and submit your request. Your FREE sample should arrive in your mailbox with 3 to 5 weeks. Purchasing dish-washing supplies can get expensive, especially when you consider the fact that dish detergent is a consumable product! 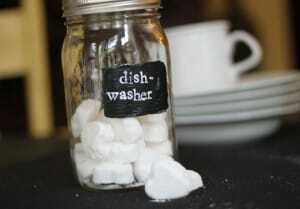 One way you can save money is by making homemade dishwasher detergent. It is simpler and easier than you would probably think. Today, we are telling oyu how to make your own dish washing tablets. These dishwasher tablets are easy to make, easy to use, and they will save you a lot of money! You can even shop around for coupons to save even more money on the ingredients. Mix together all the ingredients in a large bowl. Stir together the ingredients until they begin to clump together. Then, pack the mixture into your ice cube trays. Be sure to press down as hard as possible so the dishwasher tabs hold their shape. The tablets must stay in their tray for 24 hours to dry. They dry best when you place them in a warm, sunny location. After they have thoroughly dried out, you can carefully remove them from the trays and store them in a container with a lid. To use the dishwasher tablets, just place them in the detergent compartment of your dishwasher as you would with a store bought detergent. If you have hard water, be sure to add 1/2 to 1 cup of white vinegar to the bottom of your dishwasher to prevent your dishes from becoming cloudy. If you have a stainless steel dishwasher, you may not want to add the vinegar as it may alter the look and finish of the stainless steel. How would you like to receive FREE organic zucchini seeds? Right now, if you take a pledge to donate some of your seed’s harvest to a local food pantry, Tasty Bite and AmpleHarvest.org will send you a FREE packet of organic zucchini seeds. Please note, this freebie offer is open to the first 10,000 people who sign up. 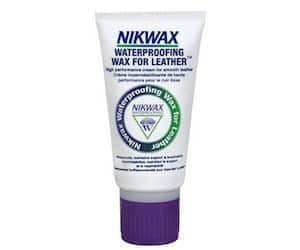 FREE Nikwax Sample For Waterproofing Leather! You can currently request a FREE Nikwax sample! This awesome product waterproofs leather. To get your FREE sample in the mail, correctly answer the questions to a quiz. If you are not sure of the correct answer, use the hint button to help you answer the questions. There is a limit to one per sample per household.